It will try to connect when you save it! You can browse remote directory with ftp-kr List command! 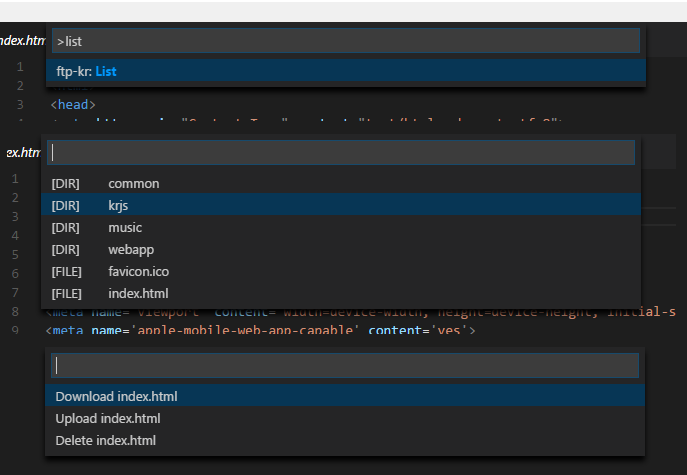 You can find extra options in ftp-kr.json with auto complete( Ctrl+Space )! 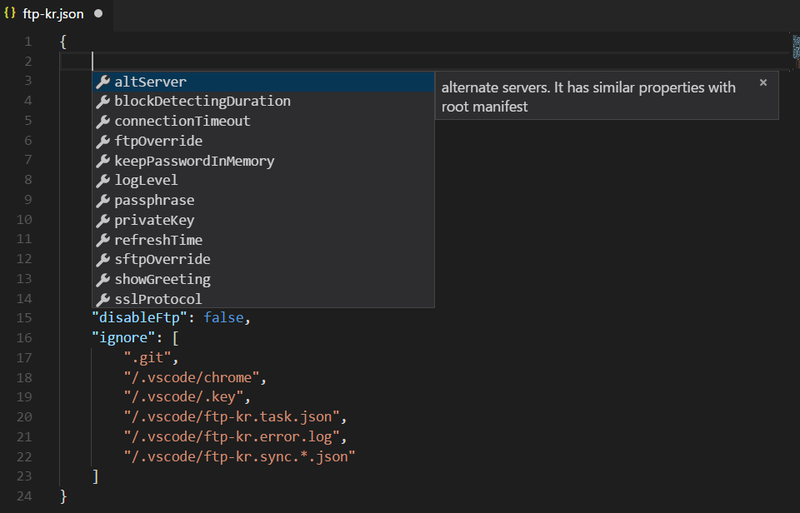 if you write altServer field, It will show server selection in some commands. You can use SFTP with private key! You can override ftp/sftp options by ftpOverride / sftpOverride field, It will pass to connect function of ftp / ssh2 package. 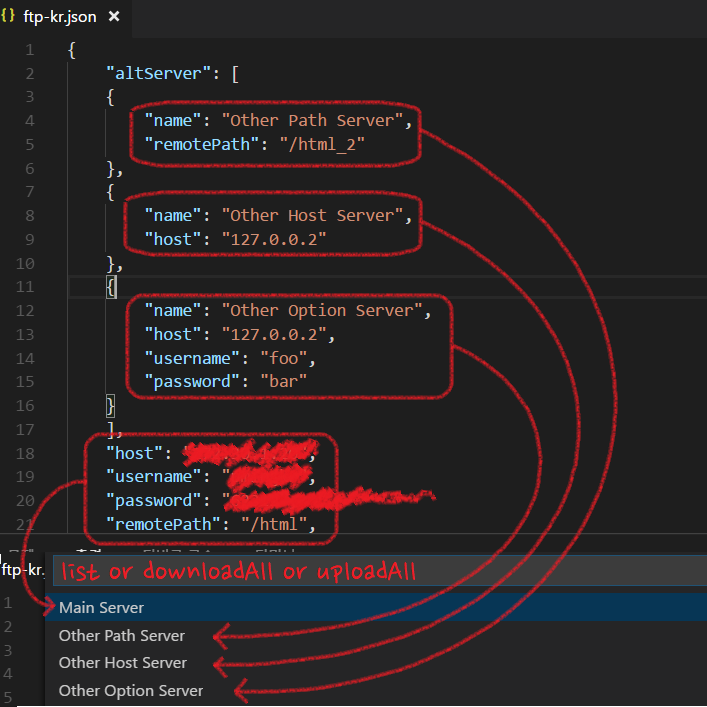 ftp-kr: Init - Starts up extension and generates ftp-kr.json . 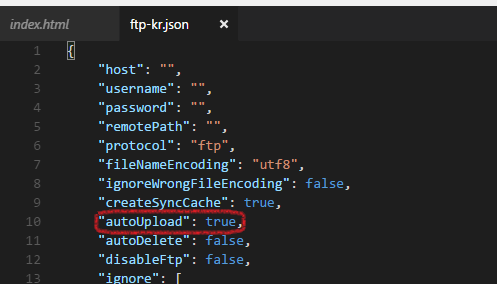 ftp-kr: Upload This - Upload this file. 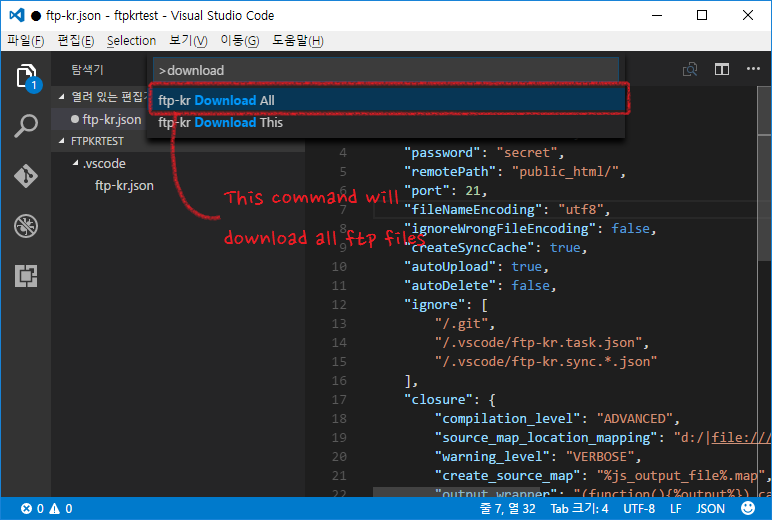 ftp-kr: Download This - Download this file. 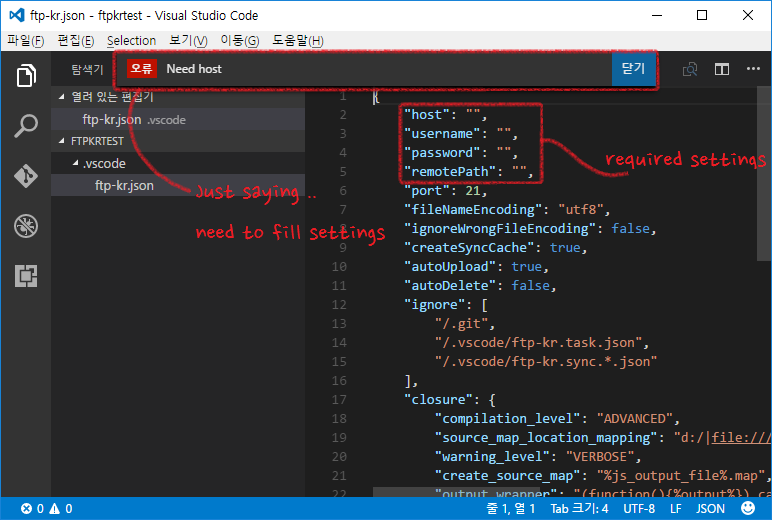 ftp-kr: Delete This - Delete file in remote server. ftp-kr: Diff This - Diff this file. ftp-kr: Refresh - Rescan remote files. 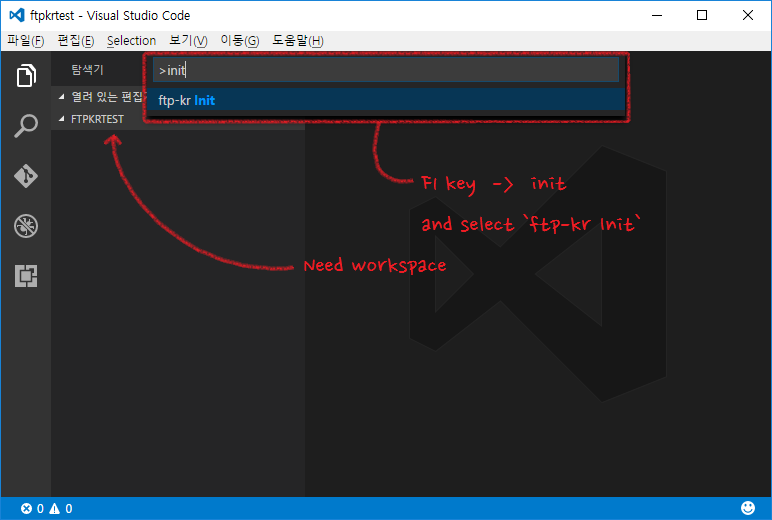 ftp-kr: Clean All - Cleaning remote files that not in workspace. ftp-kr: Reconnect - Reconnect the server. ftp-kr: List - Browse remote directories. Could you donate me ...?